I went to my first car boot fair of the year on Sunday, and to say that I was ridiculously excited about it is an understatement! I did have to bribe the children with spending money, but it was a worthwhile experience for all three of us. My daughter bought some Doctor Who Top Trump cards which she was very pleased with, my boy bought some bags of mixed Lego. Happy Days! I came home with a stash of treasure, which I shall share with you over the next week or so. 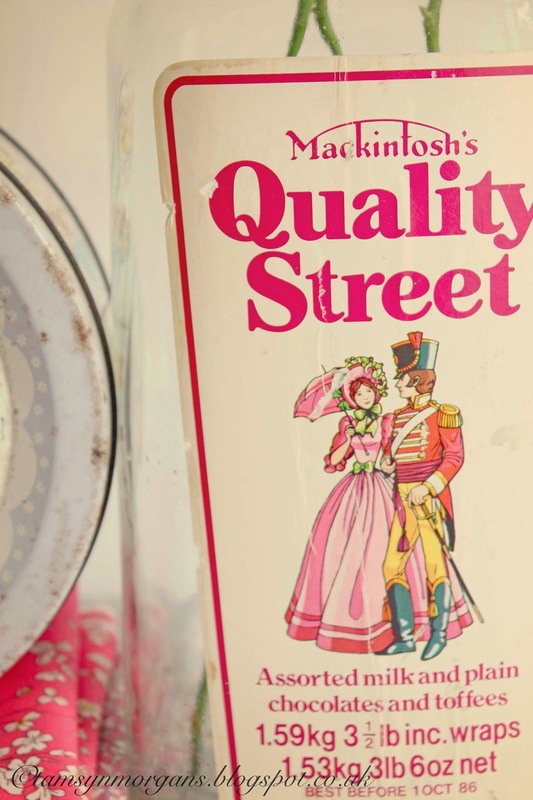 I saw this vintage Quality Street jar and was strangely drawn to it – partly because of the candy colours and the bright pink lid, and also for the hit of nostalgia. 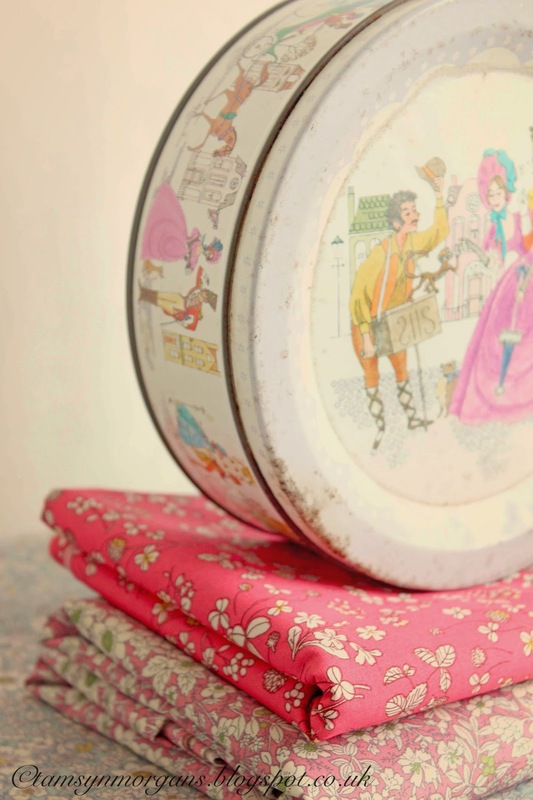 I worked in a newsagents as a Saturday girl as a youth, and we sold sweets by the quarter. 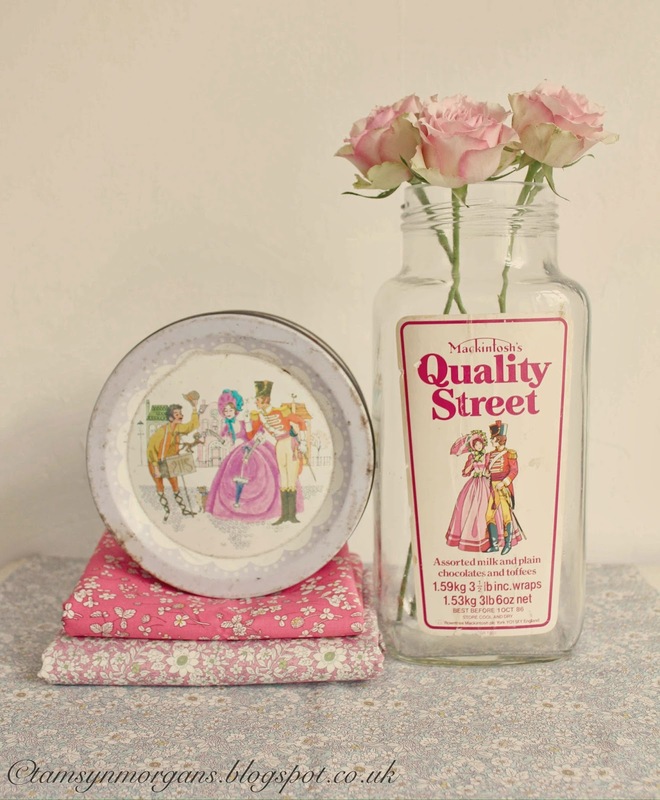 I don’t remember selling Quality Street, but the sweets certainly came in jars like this. Having bought the jar, I then saw the tin, which does remind me more of the tins of sweets we had at Christmas when I was a child. 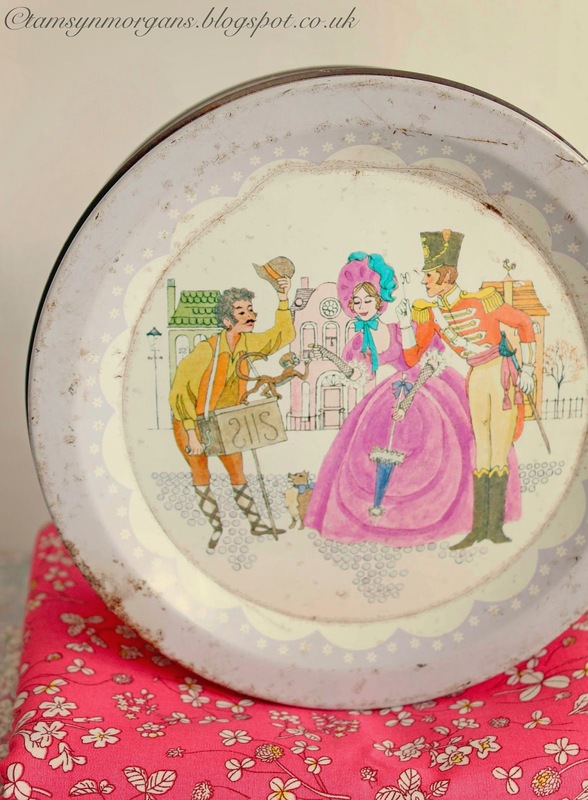 I always loved the fine lady and her beautiful frou frou pink dress, walking along with her soldier beau. The chocolates went down pretty well too! Seeing this Quality Street took me down Memory Lane. 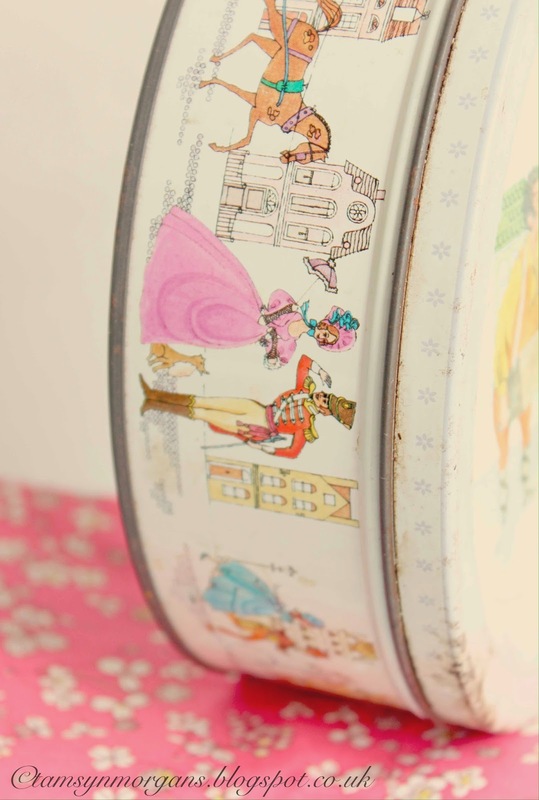 Haha – I remember when Quality Street tins looked like this – and yes, it totally reminds me of Christmas as well!